Glutathione, Oxidized (GSSG) is the oxidized version of the naturally occurring and very important detoxification agent glutathione (GSH). 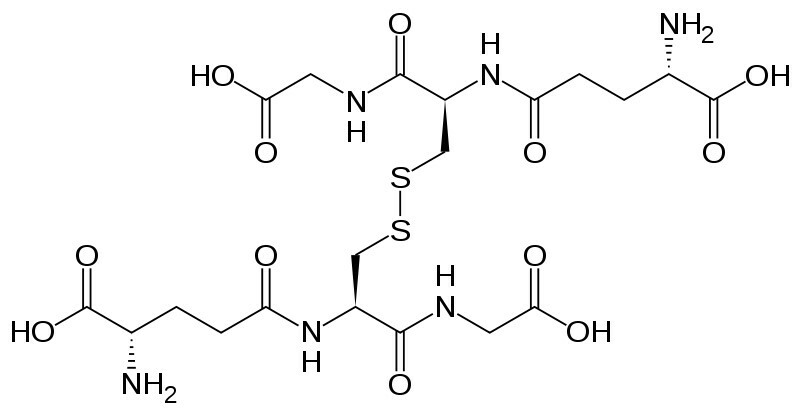 When used in vivo, GSSG will not remain oxidized, but rather be reduced back to GSH. A ratio of GSH to GSSG can be used to determine the level of oxidative stress that has occurred in cells. When a cell has higher levels of GSSG, then it can be implied that more oxidative stress has occurred within the cell.